Born in 1977, Pierre Casenave grew up in the pyrénées atlantiques, renowned for tapas, ferias and rugby, a region closed to Spain. Pierre is an oenologist at the Champagne House Veuve Clicquot in Reims, France. 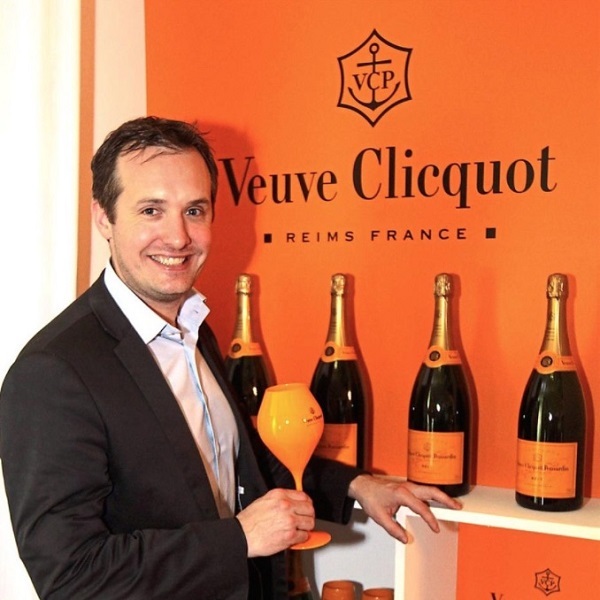 Pierre Casenave joined Champagne Veuve Clicquot in 2008 as a winemaker in the wine communication team headed by Cyril Brun. He is proud to belong to the tasting panel led by chef de caves Dominique Demarville, taking an active part in the creation of the finest quality blends for all of the House’s wines. He is also involved in the harvest and winemaking in Vertus. Casenave now plays a significant role in the communication efforts of Veuve Clicquot – tasting, promoting and training all over the world in French, English and Spanish.